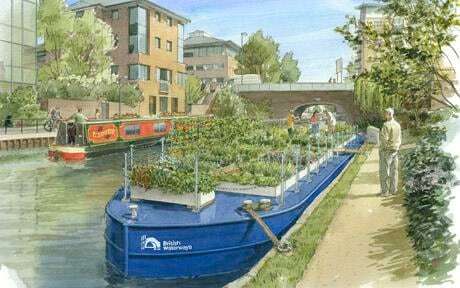 There was an interesting item in this weekends Telegraph concerning British Waterways idea to use old canal barges as floating allotments along suitable stretches of the canals. British Waterways will now begin work in identifying other plots around the county and start a number of pilots to work out the best way to run the scheme. It is expected most of the land will be leased for free to community groups who then find public or private funding to run the allotments. The organsiaton are also looking into using retired work boats for growing vegetables. Half the population of the UK lives within five miles of a waterway and Gill Owen of British Waterways said it was a perfect way to get people out enjoying rivers and canals. It seems a great idea but I think security may be a problem.